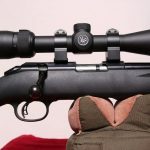 The Ruger American Rimfire is a new bolt action 22LR rifle that came onto the scene with some really practical features. 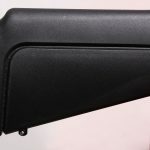 With an interchangeable rear stock that gives different cheek comb heights as well as different lengths of pull, the rifle offers some good flexibility not available on most other rifles at this price point. It also comes with an adjustable shoe-style trigger, uses 10/22 style mags, and has practical fiber optic sights. The Ruger American Rimfire goes for $310 in the US and $450 in Canada. Special thanks to reader Jason for loaning me this rifle for review. 18-22″ barrels. 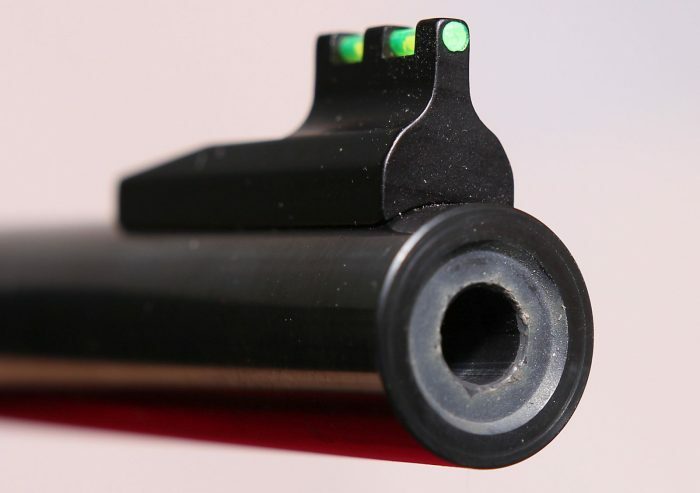 Target models use a heavy 18″ barrel with a threaded muzzle. The Ruger American Rimfire comes with super reasonable features that make it easy to use. 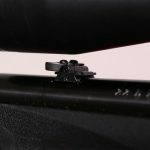 The Ruger Marksman trigger is the name they give to their shoe-style adjustable trigger, similar to Savage’s Accutrigger. And just like the Accutrigger, it’s a great way to get a light, short trigger and still keep the company lawyers happy. The stock itself includes one of Rugers power bedding blocks that should help the stock stay nice and tight with the action. 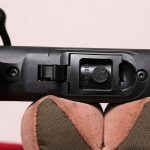 The stock also uses a modular rear buttstock so you can swap out stocks for shorter length of pull (if you want to configure the rifle for a youth) or more or less comb height if you need to use a tall scope or prefer irons. The barrel is free floated off the stock and gave me 0.5″-0.75″ groups at 50 yards. The safety is a practical tang safety, which I love, and the bolt releases with a simple bolt release button on the left hand side of the receiver. No pulling the trigger to release the bolt. The rifle comes with a nice fiber optic front sight and fold down rear sights, but it works great with optics as well. For optics, you can go for a dovetail mount, but since it’s drilled and tapped for superior Weaver bases, you can use them instead. No sense using crappy rimfire rings when you’ve got much more secure Weaver bases as an option. If you want to stick with the irons, you’ll be well served by the easy to acquire fiber optic sight. I love fiber optic sights! In my opinion, 10/22 magazines are the best 22 magazines in common use. They’re compact, allowing for a smooth bottom of the rifle, and they pack in 10 rounds. They load quickly, drop free, and are well covered with aftermarket mags. Ruger made a great choice keeping the 10/22 mags with the Ruger American Rimfire. So, I’m going to list out some cons here, like I do on pretty much all my articles, but come back for the summary. The stock is very usable, but broken up by lots of lines (such as in the buttstock). Combined with the plastic buttpad pretending to be a rubber one, it makes the design look, not so classy. 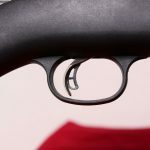 The Ruger American Rimfire is very well focused in design. It offers flexible modularity, a good package of features, practical finish, and is offered at an excellent price. It’s a great example of a manufacturer getting many things right on a design to hit a particular use case. I was super impressed with the rifle and I think it gives its nearest competition, the Savage Mark II, a really good run for its money. If you don’t want the flexibility of a modular stock, you can always go for the wood stocked version, which is closer to competing with rifles like the CZ 455.